As we start the year here in 2019, the Chromebook landscape has evolved, giving us new form factors in devices like the Pixel Slate and HP Chromebook X2 while at the same time delivering up solid, high-quality Chromebooks left and right with devices like the HP x360, Dell Inspiron Chromebook, and Lenovo Yoga C630. As I said in our Pixel Slate review, I feel confident that detachable devices and tablets are where manufacturers are headed for 2019, and what we’re seeing from ‘Sarien’ in the Chromium Repositories points to that trend continuing. We mentioned this device a few months ago as we saw the first Whiskey Lake processors making their way to Chromebooks in development. 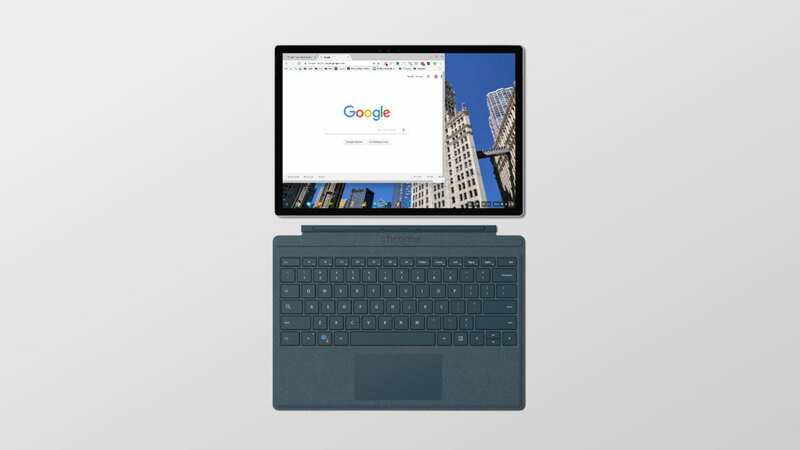 Whiskey Lake is simply another evolution of the 7th/8th-gen Kaby Lake line of processors (like those in the Pixel Slate) that adds LTE connectivity and better battery life. Nothing earth-shattering, but this chipset should bring slight performance gains with much better battery and easier connectivity, so that is a nice step forward. What is really interesting with ‘Sarien’ isn’t just the Pixel Slate-like processor set we’re seeing, but a commit that clearly shows this device will be a detachable with a non-conventional lid similar to what we’re seeing in the Pixel Slate. From those two pieces of info, we can see this new feature (lid open causing a power up) is being tested on ‘Sarien’ and this test is clearly being run on ‘tablet_detachable’ devices. Right now, I can verify the Pixel Slate can wake from being powered off by opening up the keyboard case, so that leads me to believe this may be a tablet with some sort of Bluetooth keyboard, but that is just a guess. As the commit says, this feature is for devices with a power architecture that cannot currently wake on open, so clearly this device will differ from the Pixel Slate in that way. While we can’t know much more about the specifics of this particular feature at this point, the testing and addition of it on ‘Sarien’ at least gives us a peak into what type of form factor we can expect from this emerging flagship powered by the latest high-end mobile Intel chips. One last interesting bit is the inclusion of Duncan Laurie on commits surrounding ‘Sarien’. He’s been involved in some really big flagship Chromebooks (HP 13 G1, Pixelbook, Chromebook Pixel, etc. ), so his involvement means this is likely going to be a substantial release in the coming months. Rest assured: we’ll be keeping a close eye on ‘Sarien’ for sure.